These Clubs are made up of members of the Ingjald Lodge. Anyone interested in joining should contact the Viking Lodge Office or click on the "E-mail Us" link to send an e-mail. Not a Viking member yet? Click on the "Join Us" link for information on eligibility to join and applications in PDF format that you can print, fill out and send in. This club is made up of those hearty Vikings who had the strength and courage to lead this Viking organization through fun times such as the Family Picnic, Doppa I Gryta [doop-ah ee grew-taw] (a Swedish Christmas Party), Herring Breakfast and the tough times too. The only way to join this club is through hard knocks. This Viking Past Chief's Commemorative Stone lists all our Past Chief's and the years they served. This group has been in existence for many, many years. They sing for different functions throughout the year, both in the community and for our members. Together with the Dam Kören (Ladies Chorus) they entertain with an annual Spring Concert and put on a wonderful Ham or Fish dinner at the viking Lake Park. They have been doing these two events for over 50 years. Practice is held every Monday evening from September through June at the Celoron Legion, Herman Kent Post. 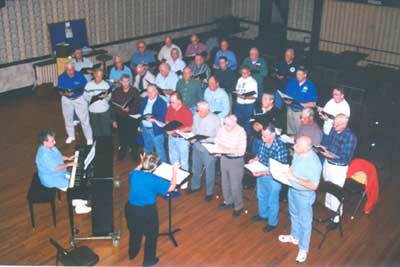 If you're a guy and you have done any choral singing or just enjoy singing you will want to join this club. The Viking Male Chorus is always looking for new members. This group has been in existence since 1998. They sing at Nursing Homes, and for other occasions. They can always use new voices. They practice each Monday evening from September through June at the Celoron Legion, Herman Kent Post. If you're a gal and you love to sing you may be interested in joining but like the men's group being able to carry a tune is a plus. This organization maintains the Boat Dock (straight ahead as you enter the Lake Park) and the Swim Dock. This entails the placement and removal of the docks yearly. They have a fishing derby in June, Steak Fry and other projects throughout the year. The club is lead by the Commodore, who is elected each year. If you have a boat you may want to join this club. Dues are very reasonable and provides a mooring spot that can't be beat. The boat Club now has their own page with more information and a printable Application for Membership. You can access it by clicking on the link above. This club is different from the Boat Club in that the boats moored at this dock are larger boats that require deeper water and more space. This dock is at the west end of the Lake Park. The Marina Association also has fund raisers during the year that benefits the Lake Park. This organization began several years ago as a social get-together for the campers at the Lake Park. The have many fun activities during the Lake Park season including a fund raiser to benefit our beautiful Lake Park. There are 125 permanent trailer sites. If you are interested in a site contact the Viking Lodge Office to have your name put on a list. Overnight camp sites are also available to members on a first come first serve basis, located by the lake and at a very reasonable price. The Men's Bowling League bowls every Wednesday evening September through April at the Jamestown Bowling Company. Couples Bowling League has two leagues that bowl at the Jamestown Bowling Company. They bowl once a month. If you like bowling be sure to join us when leagues are forming in the fall. This league plays on Tuesday evenings from April through August. If you are interested in joining call the lodge office for more information.